Application deadline – November 30, 2018. 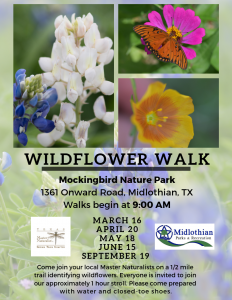 The North Texas Chapter of the Texas Master Naturalist Program began accepting applications on October 1, 2018, for its 2019 class. Master Naturalist Trainees receive in-depth education in wildlife and natural resource management, customized to focus on our local ecosystems. 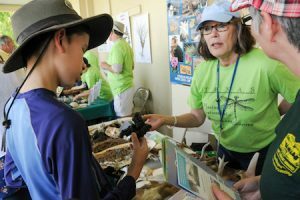 In return, Master Naturalists provide volunteer service in the form of community education, conservation, citizen science, and demonstration projects, while pursuing advanced training in areas of their special interests. 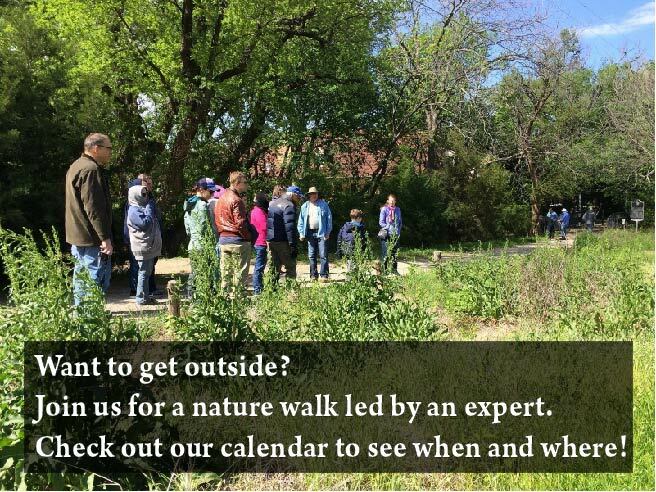 The initial training includes 40 hours of classroom sessions plus field trips to learn about Texas’ natural resources. Training begins February 5, 2019 and continues each Tuesday from 6:00 to 9:00 pm. through April 30, 2019. Applications are now closed. Class size is limited. Priority is given to applicants with a strong interest in performing volunteer service. Applicants must be at least 18 years old. More information about our chapter and our volunteer projects can be found on this website.